In our column in the brandy-new Halloween Issue of Motif, we have beer news re: Buttonwoods, Revival, Ragged Island [cans! ], Whalers [#PumpkinBeer], Newport Storm, Foolproof, and Proclamation. Click here for the scoops and/or go to the homepage and click Newest Issue at the top of said page for the Virtual Newspaper Experience. Cheers! Here’s our final pre-Beervana Fest share. 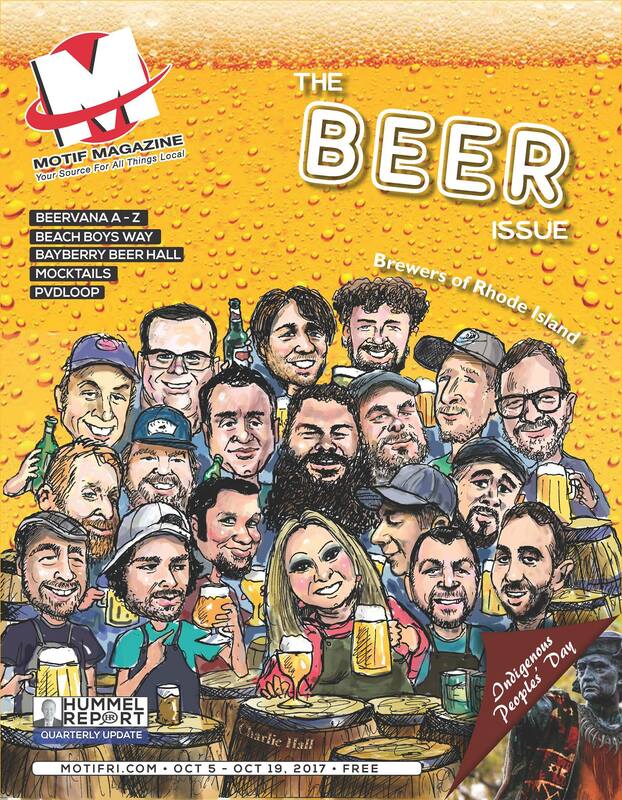 On 10.6 we posted the beer list; we also ran a “Beervana A to Z” piece in Motif. Well, The Big Day [Friday 10.20] is almost here for the Officially Sold-Out bash. We’ve been advising you to get a game plan. 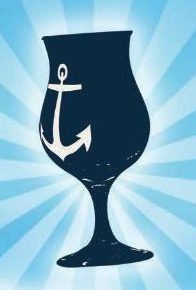 There are 60 tables hosting breweries and distributors pouring more than 250 beers [ICYM our update in the Providence Craft Beer Week post: Proclamation Ale Co. will be at the fest; their pourings are TBA, and their table is not included on the map since they couldn’t confirm their attendance before the program-printing deadline]. There’s unlimited sampling, but you can likely “only” savor about one-eighth of the amazing array; this math “problem” is based on 32ish two-ounce pours, aka four pints [designated drivees may put more mileage on the beerometer]. So work the list and compile your must-haves — but keep an eye peeled and your ears perked for the “you gotta try this!” exultations of your fellow Beervanaites. Come hang out with the brewers and volunteers from this epic program and of course there will be beer! 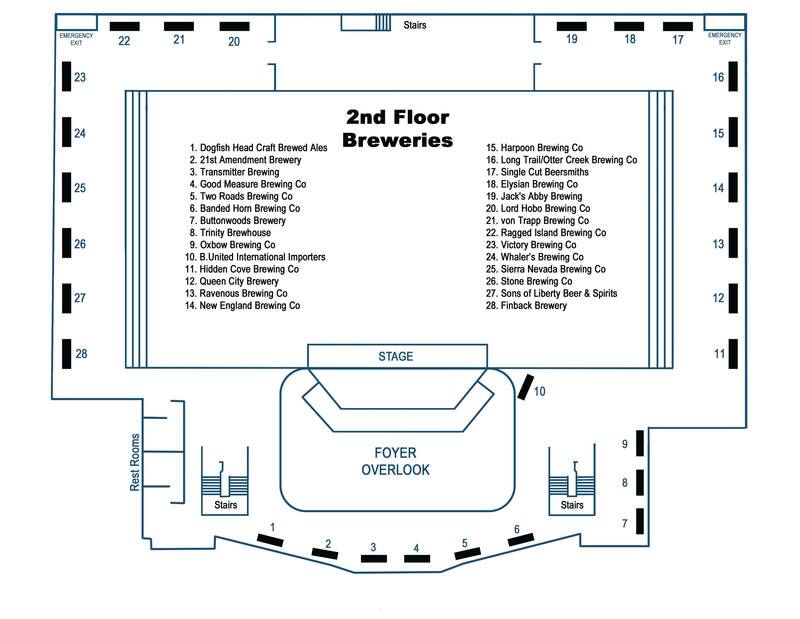 And two fest updates: Proclamation Ale Company will be in the haus [beers TBA], and we’ll post the Beervana floor plan ASAP, mayhaps later today…. The event will take place this Saturday, October 14, from 12-5 pm at Green Acres [51 Farm St, North Smithfield]. Admission is a $10 donation at the door, which will give you a commemorative tasting glass. Your newly-owned tasting glass will allow you to receive pours of a variety of creative and tasty homebrewed beer. All proceeds will go to the PKD Foundation. Kid-friendly event. No pets allowed on event property. If you can’t attend but you still want to support, donate straight to the PKD Foundation at this link! 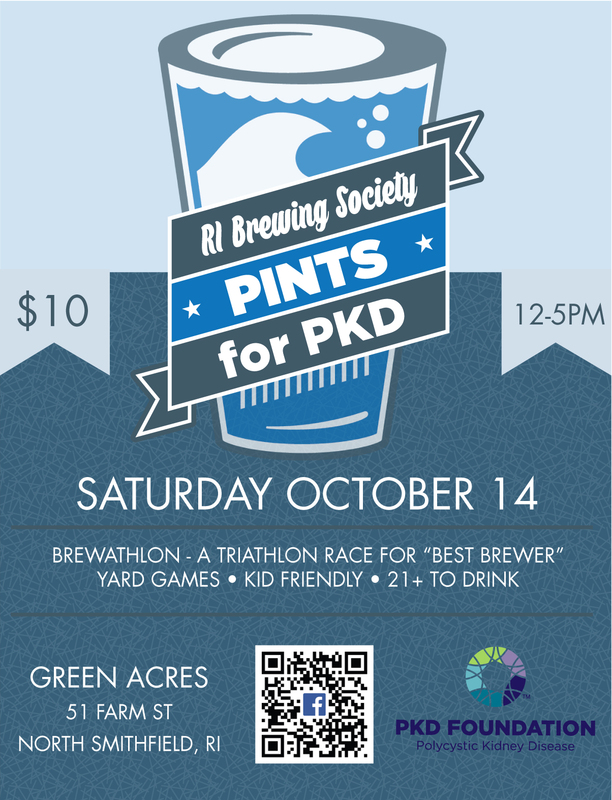 And for those wondering how a homebrew club came about developing a fundraiser in support of Polycystic Kidney Disease . . . meet Jameson! 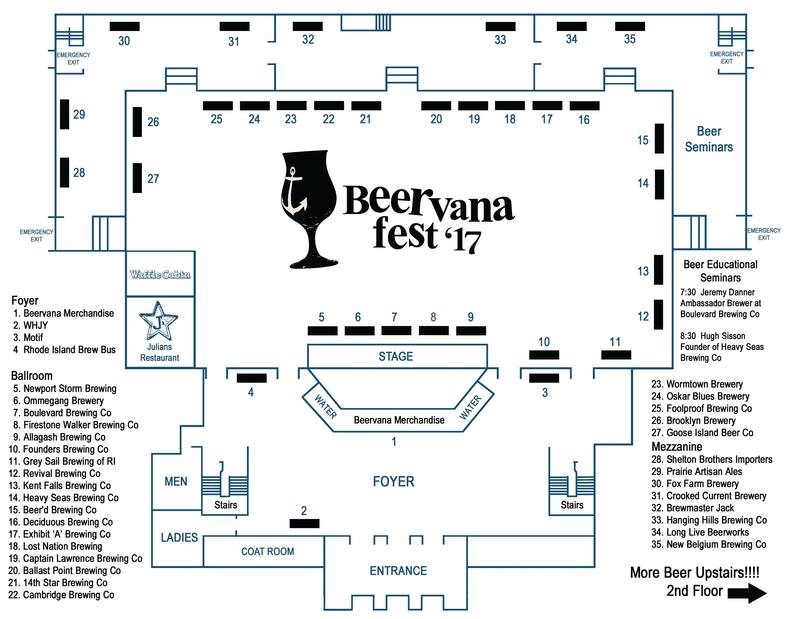 Beervana Fest ’17: The beer list! Indra Kunindra – A burst of Madras Curry, Cumin, Cayenne, Coconut, and Kaffir Lime Leaf. Weight of Sound – (DIPA – 9.6%) Bone dry with a slight grainy sweetness. Floral aroma with a bushel of candied tropical fruit notes such as ripe mango and pink grapefruit. ​8 Days A Week w/ Blood Orange – (APA 6.7%) ​Single-hopped with Citra, this American Pale Ale has a burst of tropical fruit aromas and flavors, with a touch of citrus notes, and a finishing dash of graham cracker character. Grove Stand – (DIPA 9.2%) ​Predominant character of pineapple with subtle notes of tangerine. Brasserie Vapeur En Folie – Belgium – Vapuer Folie (translated it’s “Steam Madness”) is a lager brewed with cumin, a moderate amount of hops and sweet orange peel. Dayglow IPA – A touch of wheat hazes the malt bill, softening this bright and crisp IPA. Dayglow is packed with juicy hops featuring pineapple and tropical fruit flavors and aromas. Bring Back the Peach – Blonde Ale aged on bugs and peaches for a significant amount of time that I have since lost track of. Craft Beer Week exclusive. ABV unknown. BA Wild Ale with Cherries – Belgian Pale Ale barrel-aged with Brett and and Cherries. ABV unknown. Barrel-Aged Barleywine – 2 yr aged. – This barleywine spent 6 months in Woodford Reserve bourbon barrels, and then we aged the beer for almost another 2 years to make sure it’s as smooth as it is delicious. With notes of oak and vanilla – this beer is sure to warm you up. Jali – a Belgian Golden Ale with Brett, Lacto and Agave nectar, aged for 10 months in Tequila barrels and finished with apricots and charred jalapeños. Bouillon – a blueberry sour with brett and lacto, aged for 10 months in red wine barrels. Shoots IPA – IPA with Bitter Gold, Michigan Copper hops. Malt: Pils, Pale, Spelt and Red Wheat malt from Valley Malt. Vanilla Wallaby – 7% – A stout brewed in collaboration with PVDonuts featuring vanilla and graham cracker. Digderidoo – 7.4% – A Stout aged on oak, bourbon, vanilla, and almonds. Served on cask. Pale Sour Ale – A mixed culture fermentation sour beer that drinks like a fine white wine. Pale Sour pours a bright golden hue with a brilliant white head. The flavor is an elegant interplay of sweet and sour that is beautifully clean and balanced. The mouthfeel is soft with a delicate body and a clean finish. Duvel Single – A benchmark Belgian Blonde Ale; dry and crisp with a mild yeasty citrus note. Black Harvest – 6.5 ABV. A sweet potoato stout brewed for the love of fall. Coffee Milk Stout – 5.5 Abv. A brewery staple. Brewed with dark and roasted malts, infused with New Harvest Coffee. Barrel-Aged Imperial Saison w/Peach ABV – 10.3% We took an Imperial Saison, added 17% peach juice, 3 strains of Brettanomyces yeast, souring organism Lactobacillus brevis, and put all of that into wine barrels for about nine months. 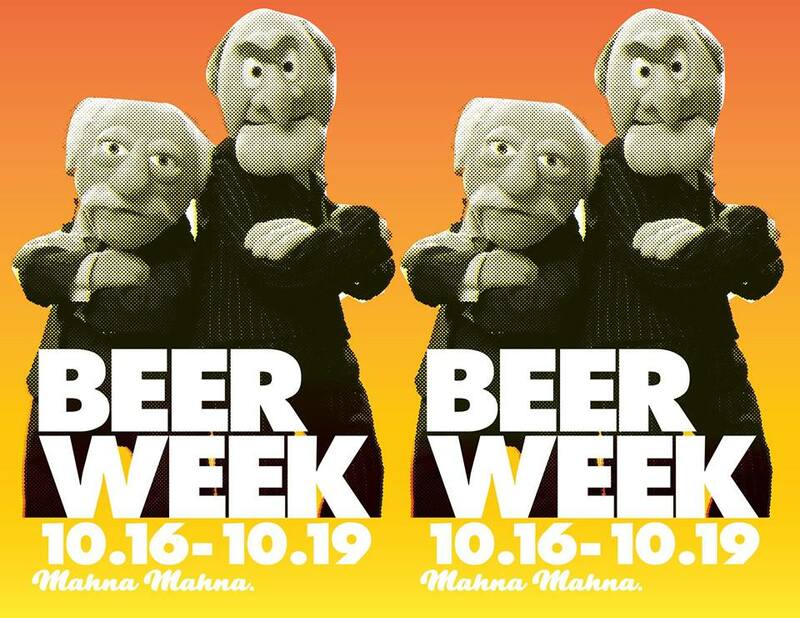 Read all about it: Beervana A to Z! Click here for the A-to-Z fun and/or go the website and click Newest Issue at the top of the homepage for the Virtual Newspaper Experience. Cheers! You all know the leaps the Proc crew has made in the ensuing three-and-three-quarter years, including significant expansion at their West Kingston HQ [more tanks and barrels, a canning line], mega-lines for their special releases, glowing press notices from national outlets, an inclusion on the prestigious Zwanze Day beer list, an appearance by Mr. Witham on the cover of Beer Advocate — and the imminent opening of a giant new beer-making/taprooming home off Jefferson Blvd in Warwick. So, this weekend is the last week at 141 Fairgrounds Rd, and the Procsters are going out with a Big Bash on October 6 and 7. On 9.14, they said on Fbook, “On October 7th, 2017, we will take this battered sign down and begin the migration north to our new home in Warwick, RI. While our stay in West Kingston has been far from perfect, it’s the place that we laid our roots, embraced our identity, refined our craft and built relationships with the people who supported us and made us what we are today. Soooo…Thank you!!! (While we maintain our sarcastic saltiness on the outside, our loving creamy center is truly grateful to you all. )” [They’re “hoping to start doing retail-only mid-October and grand opening around November 1” at the new digs.] The details of the Big Bash — including a double can release — are here. Cheers to mo’ better beer! What a difference three-and-three-quarter years makes!!! !